Imagine there was a way to engage in dialogue with your gym members without having to get on the phone or force awkward conversation while they try not to fall off the elliptical. Imagine that you could use Twitter for your health club to engage directly with your clients while doing it all under 140 characters. Well, get ready to put your imagination to work with these simple Twitter tricks to get your gym trending. Be Visual: a picture can say a 1000 words- use Twitter for your gym to share candid photos or inspirational images. RT: Retweet- use Twitter’s retweet feature to share important news, messages or relevant quotes from members of the Twitter community. Post a video: share short videos on Twitter with your followers. Link: Share compressed links to relevant articles, blog posts or your website that you want your followers to see. Trends: find out which hashtags are trending by doing a simple Twitter search. 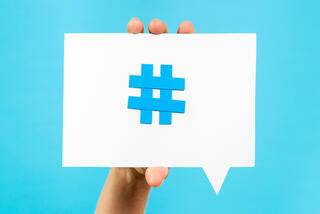 Use trending, relevant hashtags to bolster your posts. Express: hashtags are also a great way to add your opinion or feeling without overwhelming a post. Daily Tags: to engage more followers, use daily tags such as #TransformationTuesday to share a gym member’s fitness success or #FridayFunday to motivate your followers to join your relaxing Yoga class. Follow: the best way to get into the heads of your followers is to follow them back. Use Twitter to see what they care and talk about and craft posts that relate to those things. Research: use your health club’s Twitter account to search and get on top of what’s trending in the fitness industry. Use this information to tweet relevant information on this topic. Inform: Know something your followers don’t? Share fitness tips, techniques and news regularly on your health club’s Twitter page. Polls: Twitter polls are a great way to gather information from your gym member base. Your followers will also enjoy having a say. Be Direct: respond to followers inquiries and requests by using @ followed by their personal handle to engage with them directly. Be Observant: while your followers may not tag you while discussing your services, keep an eye out for mentions and problems and make sure to address them directly. You’re officially ready to spread those Twitter wings and fly! But wait a minute, there’s one more thing- did you know that the recommended amount of tweets is 6-8 per day? 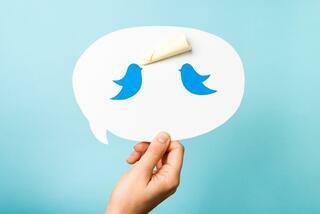 The more you tweet, the more likely you are to be noticed. While this seems like an extraordinary amount of posts, it will all be worth it- there are many benefits to using social media for your gym.